I don’t often bake on a whim. Usually, I figure out what I want to bake a few days in advance, put together a recipe, and then bake it. But this week, on Thursday, to be more specific, I decided I wanted to bake brownies. Not just any brownies, though, I wanted to add something to them, to make them even more awesome than usual (I bake pretty awesome brownies, to be honest). So, I came up with the idea to add a bunch of Rolos to the batter. For those of you who don’t know what Rolos are (under which rock have you been living? ): they’re small pieces of candy made of milk chocolate filled with caramel. Good stuff. And then, while I was innocently typing away on my thesis, I had another brainwave: add sea salt. Which was a brilliant idea, because salted caramel seems to be all the rave these days. Should work pretty well with these brownies too, right? And it did! 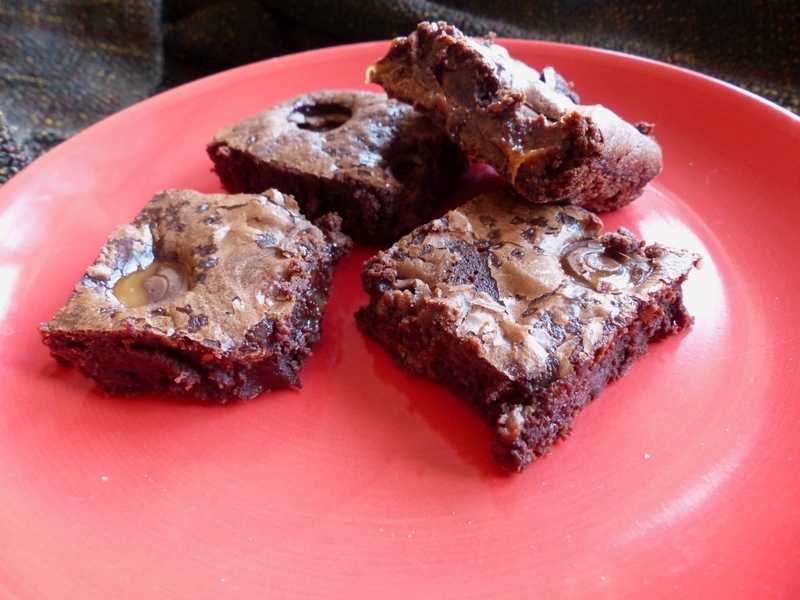 These are some next level brownies and they are delicious. Like, really delicious. Although, to quote one of my friends after she tasted these bad boys: “The power of chocolate, caramel and sea salt is not to be underestimated.” So, I had some pretty good collaborators there. 2. Mix sugar and butter While the chocolate is melting the next order of business is to mix the sugar with the butter. For this recipe, you can just melt the butter (I used the microwave) and then mix it together with the sugar. 3. Add eggs So, now you’ve mixed the butter with the sugar it’s time to add the eggs one by one, and whisk them through. Little anecdote: while making these, I cracked an egg with one hand for the first time, and it went well! 4. Add flour Once you’ve added the eggs and whisked them through your batter, you should add the flour to it, and mix the batter again. 5. Add melted chocolate Now, it’s time to add the pièce de résistance; the melted chocolate! Whisk this through as well. 6. Transfer batter to tin, add Rolos and salt Butter and flour your baking tin, and then pour your batter into the tin and make sure it’s evenly spread out. Then, press the Rolos into the batter whichever way you want. I made sure there was about the same amount of space between every Rolo, because I’m a control freak. Last but not least, sprinkle the sea salt over the batter. Just add however much you think will taste best. Be careful, though, because you don’t want it to be too salty! 7. Bake! Put the tin into the preheated oven and bake the brownies for 25 minutes. 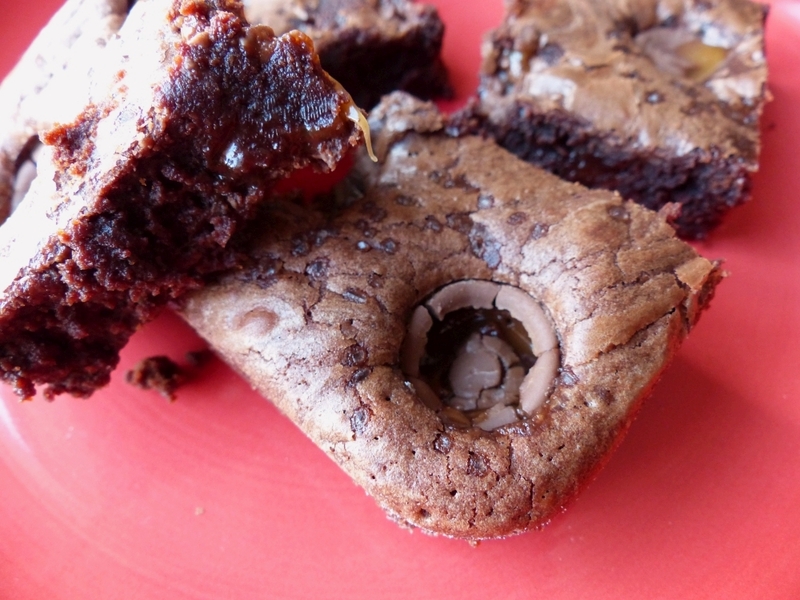 Insert a skewer to check if it’s done – if it comes out a little moist, but clean, your brownies are done! Take the tin out of the oven and let the big brownie cool down within the tin. Once it’s almost completely cooled down, you can cut it into different pieces. And there you have it! 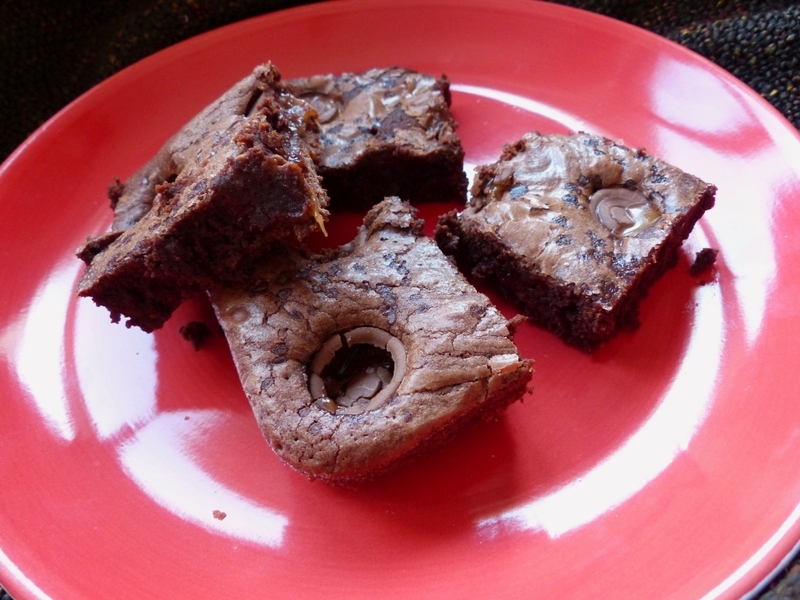 Your own Rolo sea salt brownies – enjoy! Thank you! 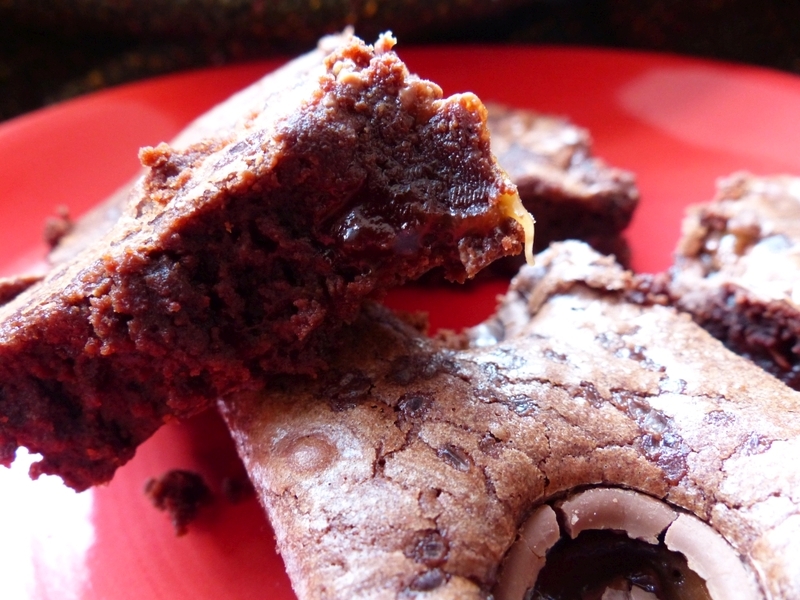 I love making brownies, and this addition is so easy yet so tasty. 😀 That BBC recipe looks really good too, though! salted caramel is the absolute best thing ever and this looks so, so good. Thank you! ❤ I'll make 'em again soon and bring you some! Great idea, this is one I must try. Thanks for sharing. You know, I went and bought rolos today!! The new dark kind, so I have to make brownies now! Thanks for the great idea. Sounds like a great idea! 😀 Thanks for your comment! These look delicious! Cant wait to give these a try – thanks so much for sharing! I love rolos! And brownies. I’m definitely going to try this out. What a great idea. Thank you! They were really delicious and very easy to make. 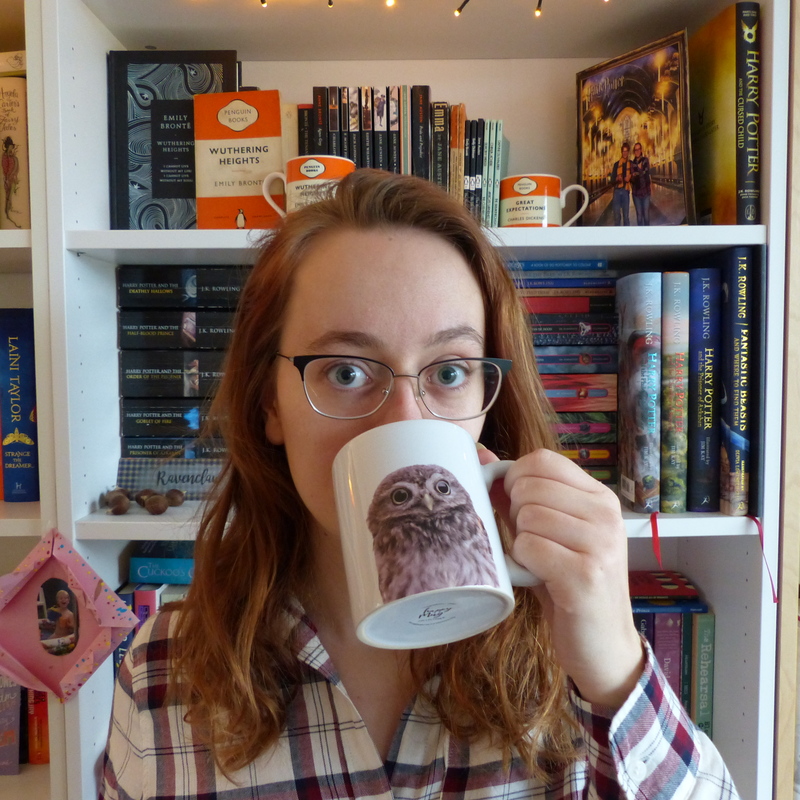 🙂 I hope you’ll like them too! I’m planning to make them with one of my daughters (she loves rolos). Thanks again for the recipe!